The Star Group's six-year contract is valued at Rs 3,851 crore ($750 million) and will cover 96 matches in all. They will pay Rs 40 crore ($7.86 million) for each international match, significantly more than -- Rs 32.5 crore ($6.38 million) -- what Nimbus paid. MSM was the second highest bidder offering Rs 3,700 crore. The rights were with Nimbus but it was scrapped last year after the broadcaster defaulted in payments. "The BCCI is very happy with the deal. Now the media rights have been fully evaluated and fully priced with Star coming out with a such a deal," board president N Srinivasan told reporters. "Following a transparent process of verifying the eligibility of each bidder, the winner was chosen," Srinivasan said. 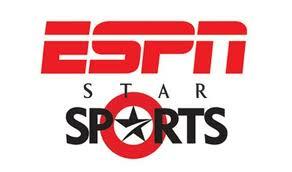 Star, in association with ESPNCricinfo, bagged the broadcast, internet and mobile rights for India's home matches from July 2012 till March 2018. Star Group's India CEO Uday Shankar promised that the cricket matches at home will now get better coverage. "I thank the BCCI for awarding Star the broadcast rights. In association with ESPN, we are confident of giving a great coverage to Indian cricket. We already have the channels. If there is a need to open another channel, we can always explore it," he said. ESPN-Star also own the telecast rights of all International Cricket Council (ICC) events and the rights of domestic cricket in England and Australia. The BCCI's marketing committee had set the price for category of Rs 31.25 crore ($61.1 million) plus Rs 1 crore ($0.2 million) and Rs 34 crore ($6.67 million) plus Rs 1 crore for category B games.